Sam Parham holds 3 Guinness World Records. 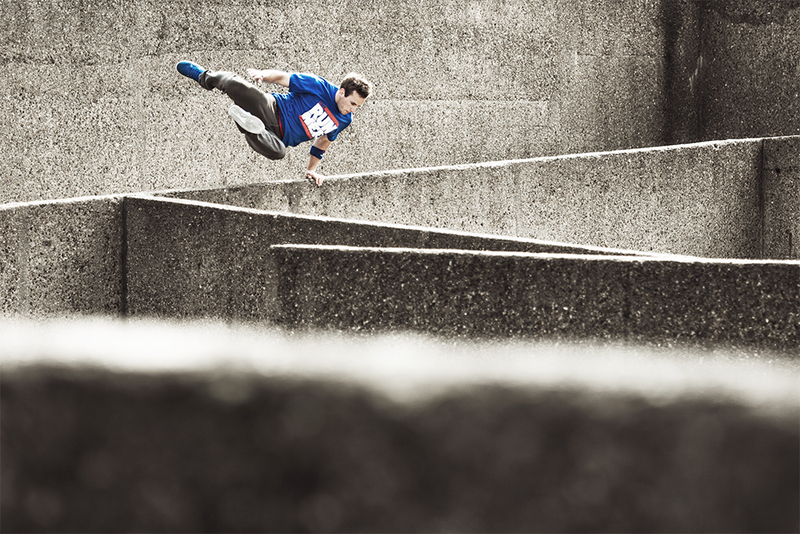 He has been training and sharing his Parkour / FreeRunning skills for 15 years. Pioneering the sport from its early development inspiring millions across the globe. 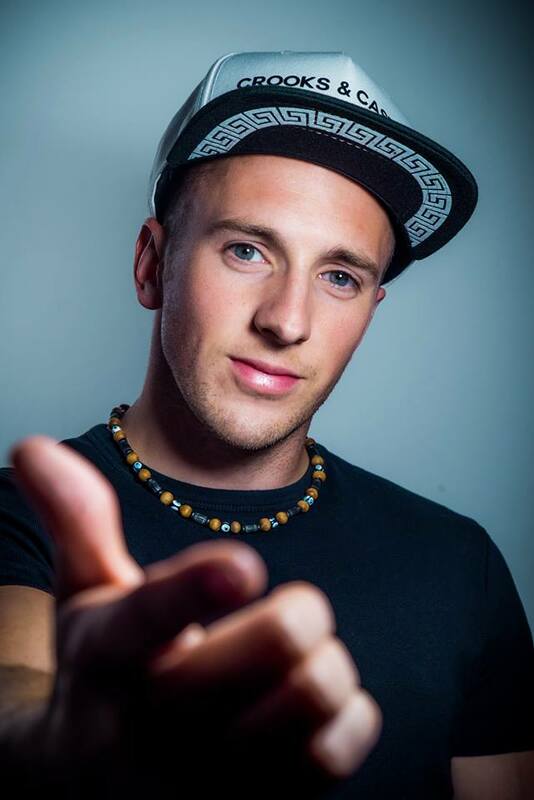 His Parkour Poetry in Motion video has achieved well over a million views, and Sam’s direct coaching grass root workshops have helped develop young practitioners across the globe. Sam has performed alongside some of the biggest stars in HollyWood including Brad Pitt in World War Z and Tom Cruise in Edge of Tomorrow. Sam was heavily involved in the Parkour Stunt Performer on the new Warner Brothers Jungle Book movie. Sam has been inspired by the likes of Jackie Chan, ever since he was a child. 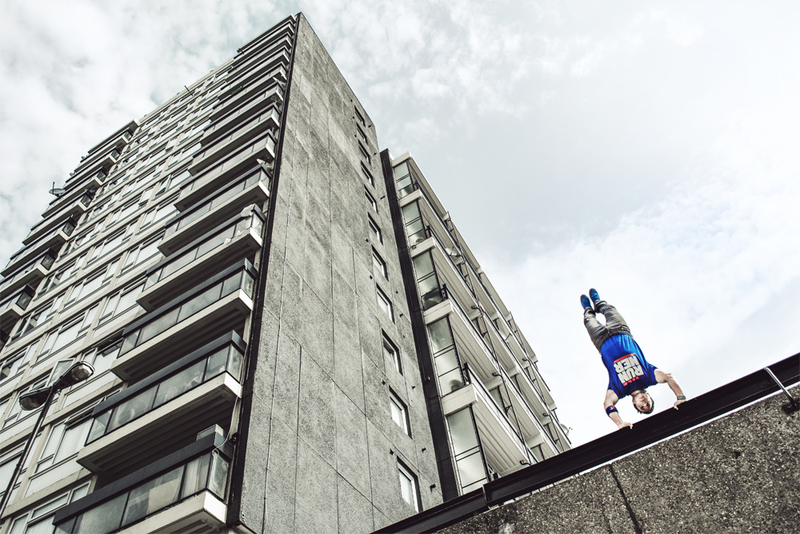 He has been performing in Hollywood Blockbuster movies and Television commercials for years now and is most certainly one of the most experienced professional Parkour athletes in the world. It’s difficult to say, as I feel very fortunate to have achieved the things I have done. I definitely want to work more in films and would love to reach the status helping a blockbuster Parkour Movie make it to the big screen. 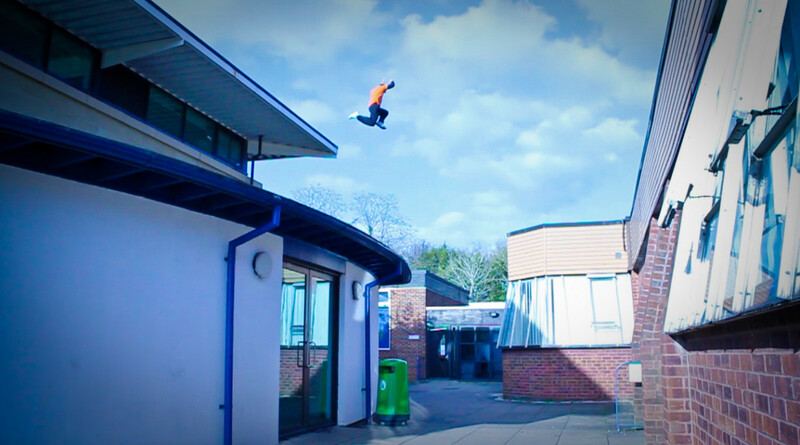 I also really hope to continue to pass Parkour onto the youth, inspiring others to find the benefits of this sport. My greatest achievement has to be the Guinness World Records I have. As a kid I used to read the Guinness World Records Book, but to have featured in it myself was a huge achievement for me. 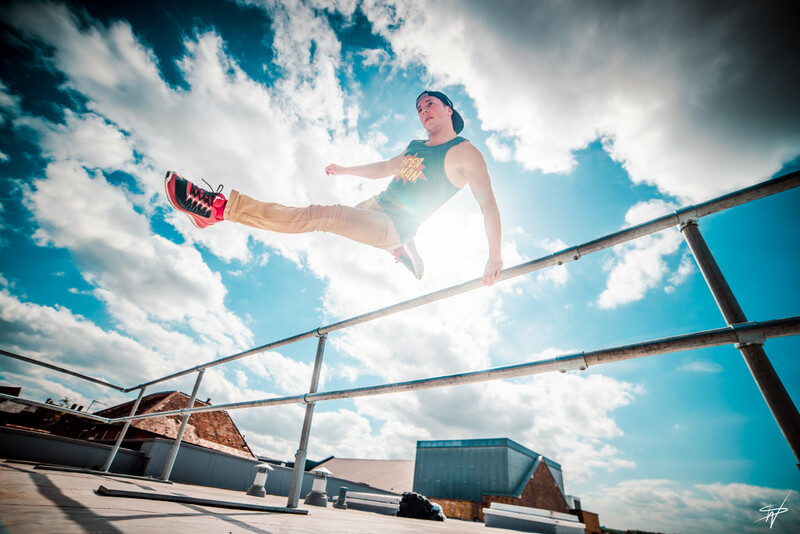 Parkour and FreeRunning do naturally present some real physical challenges, and I think the impact of the sport on my physical body has been a real challenge to over come. I have had to learn how to develop strength and longevity in my muscles, through smart training and technical performance. I think it is also a shame that Parkour / FreeRunning still hasn’t found an outlet to create strong careers for many of the top practitioners, but I hope in time, there will be more opportunities for this. The achievement of a new skill or particular move that you have been working on for some time is a feeling like no other! I tend to train now in our 3RUN academy (www.3runacademy.com). With this, we have bridged the gap between outdoor training and indoor safe environments. 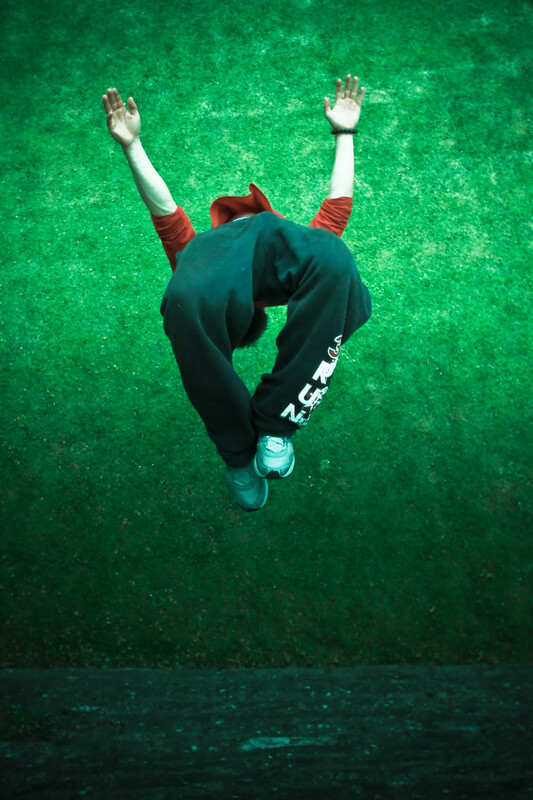 It is the perfect place to concoct new moves ready to take to the concrete jungle! I do a variety of sports. Firstly, I feel that you have to have other sports to keep your interest. If you only do one thing, after an extended period of time, that thing is naturally going to lose its fun appeal. It’s nice to mix it up. Rock Climbing, Conditioning at the gym, Martial Arts. All these amazing other disciplines to incorporate and help condition the body for more physical developments. I just want to make people proud. That’s a tough one! I receive a lot of letters from kids and parents who have been inspired to train Parkour and also to embark on a healthier lifestyle in general. This is always something that means a lot to me. “Speculate to Accumulate”. If you’re not interested in putting the time and effort in, don’t expect much in return. Most definitely to get more involved in the film industry, perhaps one day coordinating movies. I love putting visual sequences together for film / video. The Pepsi Unbelievable Game I choreographed has received over 5 million views! I love sharing creativity through film. Just do it for the love. If passion is your motivation, nothing else matters.